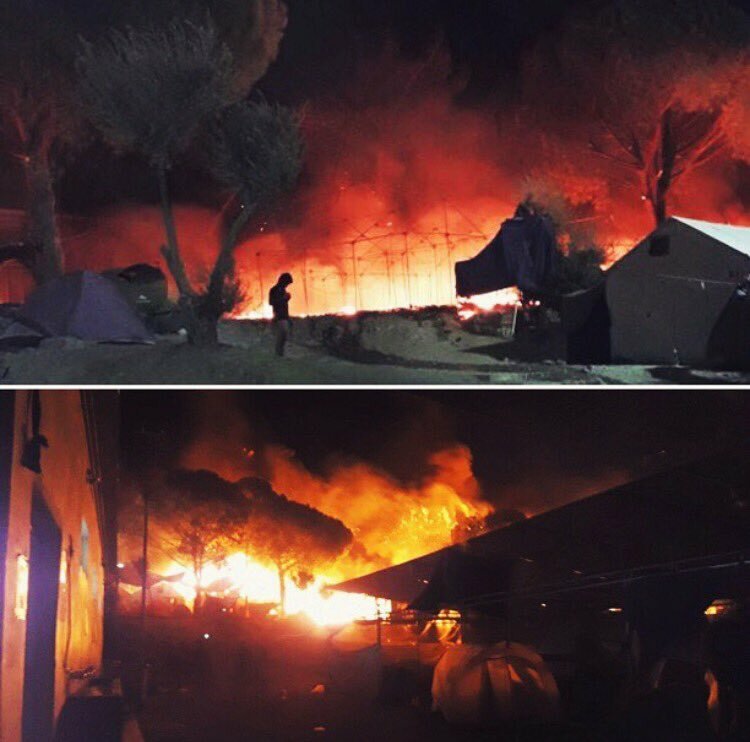 The hot spot in Moria was set on fire on Monday night after clashes between migrants and refugees groups of different nationalities. Some 3,000 to 4,00 people have been evacuated. Around 150 unaccompanied minors were brought in safety into a state nursery home. The clashes started at around 7 o’ clock in the afternoon and soon got out of control. The cause of the fire that has damaged tents and prefabricated units is not known. 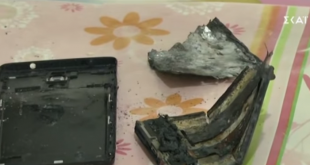 There is suspicion of arson. 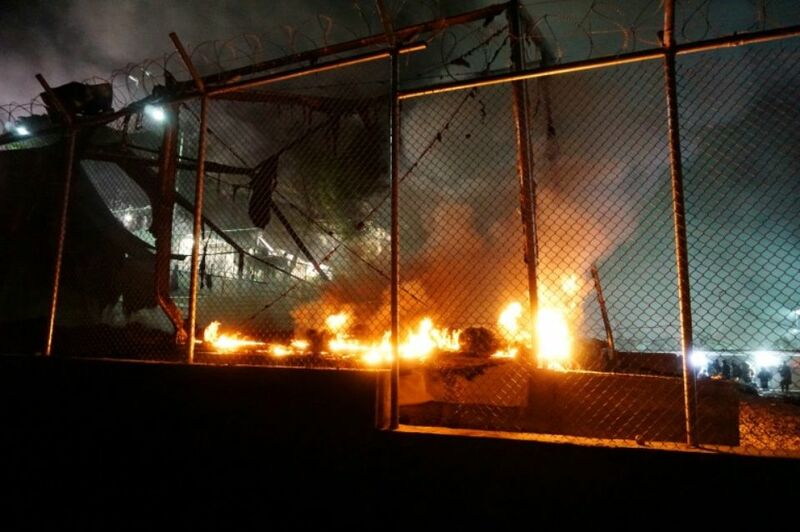 According to Athens News Agency, the “migrants set fire to several parts of the camp which then spread causing hundreds of people to flee.” ANA notes that police brought the unaccompanied minors to a new facility, the state PIKPA. Greek media report on Tuesday morning, that clashes started during the dinner time, when a group of Afghans attacked a group of Syrians. None of the approximately 4,000 refugees and migrants has been reportedly injured. However, the island is facing a humanitarian crisis right now as the 4,000 people are in urgent need of accommodation. Earlier on Monday, 300 people left the camp and wanted to launch a protest as rumors were circulating that mass deportations to Turkey were imminent. Police forced them back to the hot spot. And the clashes started. According to official figures, a total of 5,600 refugees and migrants are on the island of Lesvos in the eastern Aegean Sea. Some 4,000 are estimated to be in the Moria hot spot, the rest in the reception center of Kara Tepe. In Moria are all the refugees and migrants who arrived on the island after the EU Turkey deal went into force, on March 20th 2016. The people there are practically detainees. Most of them have applied for asylum but the delay in the procedures have frustration grow, and groups of different nationalities struggle for power and control in the camp. For UPDATES, see : A hell of a night for thousands fleeing fire – 60% of hot spot infrastructure burned down – Detentions & Arrests – Govt plans for the stranded families. They are illegally detained. There is no legal right to detain asylum-seekers, but the EU has decided that the law does not matter. Nor is there any legal authority to return asylum-seekers to Turkey — which is why the EU governments did not make a treaty with Turkey but an informal agreement. This non-legal agreement is not easily challenged in the courts. It’s a bit like not issuing receipts, so that you avoid obeying the law and paying taxes. The entire EU is engaged in exactly the sort of thing that they criticise Greeks for doing. Lying hypocrites, especially the COMECON countries. Oh yeah, to grow opium but wait – wasn’t that the only reason to invade Afghanistan, doesn’t the system need cheap smack for all the middle class former home owners fucked by the banksters and their lackeys in politics?